Regal Princess is a cruise ship that has mastered the blend of elegance and fun. The décor is extravagant. Just wait until you see the Piazza and the three spiral staircases that loop their way around in grace-like fashion. However, even with the incredible décor, Regal Princess isn't too glitzy and glamorous that passengers won't feel comfortable. The lively and fun-filled atmosphere also invites guests to relax and rest while onboard. Are you a traveler who is interested in experiencing this unique fusion of sophistication, comfort, and entertainment? If so, then the Regal Princess may be worth considering. The Regal Princess cruise ship is nearly a twin to the Royal Princess. There are many features that overlap between these two ships, yet each one also provides distinct restaurants, entertainment options, and cruise itineraries. Because of the countless activities and entertainment options on the Regal Princess, everyone from children to grandparents can find fun and memorable ways to spend their time during vacation. 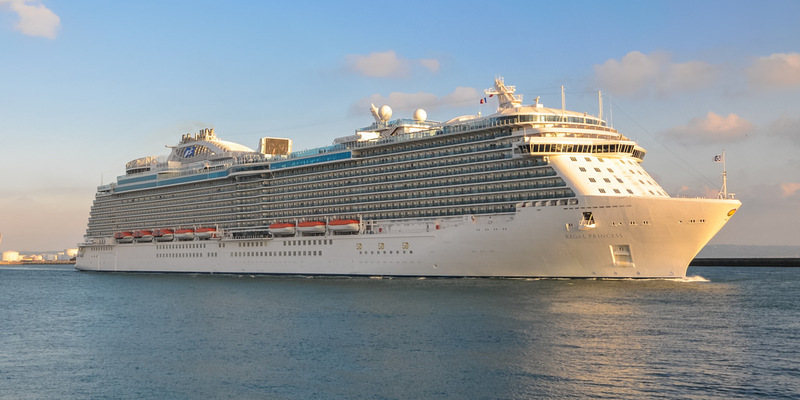 Passengers who board the Regal Princess are typically couples – both young and old. Families are certainly welcome, but the main demographic tends to be couples. However, during the holiday season and during summer vacation, many more families can be spotted enjoying their time on the Regal Princess. In fact, anyone who travels on this cruise ship has a memorable time. Suites, Club Class, Mini-Suites, Deluxe Balcony rooms, Balcony rooms, Interior rooms, and Wheelchair-Accessible rooms. The Regal Princess has a range of accommodations for guests. The Suite is the most spacious and luxurious option onboard. There is a private balcony with patio furniture, a living room with a sofa bed, a complimentary mini-bar, two flat-screen TVs, and your choice of a queen-size bed or two twin-size beds. A stay in a Suite grants guests top-of-the-line amenities too. Some of these amenities include complimentary access to the Spa Thermal Suite, complimentary laundry service, dinner in a specialty restaurant, priority in dining and shore excursion reservations, and loads more. You are sure to be taken care of when you stay in a Regal Princess Suite. Mini-Suites are the next accommodation option on the Regal Princess. There are standard Mini-Suites and Club Class Mini-Suites to choose from. Both have a balcony with outdoor furniture, a sitting area, a sofa bed, two TVs, a complimentary welcome glass of Champagne, and more. The real difference is that the Club Class Mini-Suites offer exclusive VIP features and amenities. These include access to Club Class Dining, which is a separate dining area only for the Club Class. There is no wait, a larger menu, and extremely attentive service within this quiet dining area. Club Class Mini-Suites also come with the well-known and wildly comfortable Princess Luxury Bed. 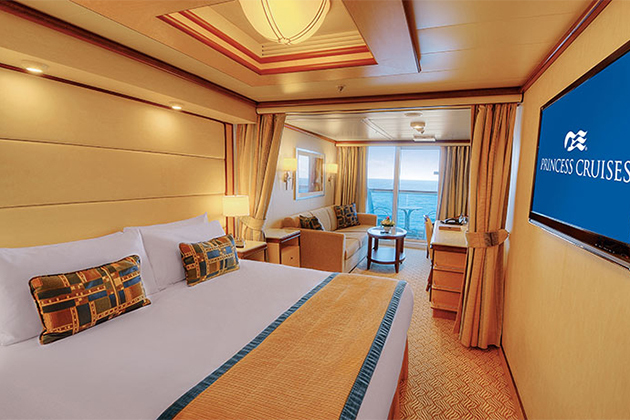 The Balcony and Deluxe Balcony staterooms are very similar in soft, natural décor and amenities. However, the Deluxe Balcony provides more space for guests and an additional sofa bed. The most affordable accommodation on this ship is the Interior staterooms. Guests can choose from the options of having one queen-size bed or two twin-size beds. All the basic amenities of a refrigerator, TV, closet, desk, and bathroom around found within the Interior staterooms. For guest in need of wheelchair-accessibility, the Regal Princess has many accommodations for you too. These rooms provide complete mobility for passengers in wheelchairs. Cruises are known for supplying guests with an abundance of food. We are sure you already know to come hungry when going on any cruise. Should you decide to set sail on the Regal Princess, the same advice applies. There are many places to eat onboard this ship and each one provides its own zest and flavor. From sit-down dining to buffets to grab-and-go meals, there are many ways to experience the scrumptious food onboard the Regal Princess. If you are a foodie, then the Regal Princess is a hot-spot for you. 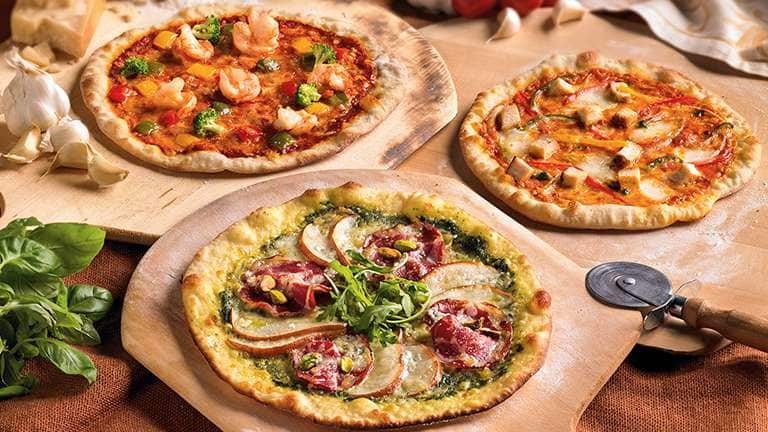 To create your own gourmet pizzas, dine at Alfredo's Pizzeria. Vines is the wine bar where guests can choose from an extensive selection of wines. When you have a sweet tooth, Gelato is a café that would be delighted to satisfy your cravings. At Gelato, there is an array of tasty flavors and toppings to choose from. The International Café and the Horizon Court buffet are other places where guests can find cookies and sweet treats. The International Café is open 24-hours, so whenever a hankering for dessert strikes, run that way. This coffee shop also serves fresh salads, soups, paninis, coffees, and teas. So, whether it is a midnight snack or afternoon snack, this cafe has you covered. 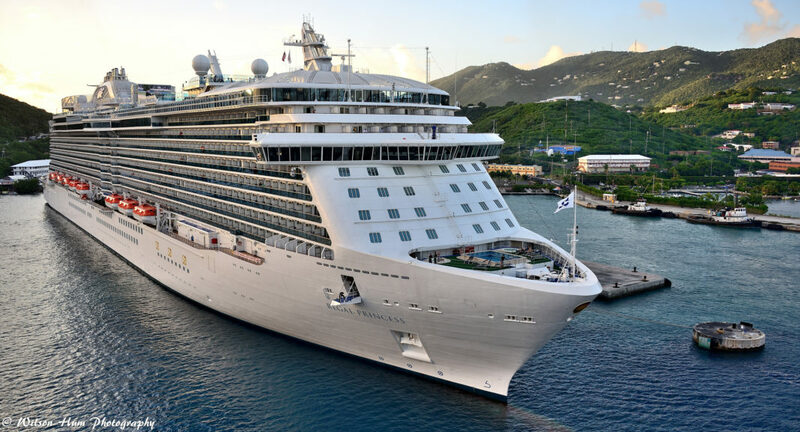 There are heated pools, hot tubs, spa treatments (including an antioxidant chocolate body treatment), afternoon tea, an art gallery and auction, a basketball court, a game lounge, an onboard library, bars and lounges, and kids clubs. Needless to say, there is much to do onboard the Regal Princess. Plus, there is the famous Regal Princess SeaWalk too! The SeaWalk is a glass walkway that allows guests to view the underwater world that is just below their feet. As afternoon arrives, there is no better place to be than afternoon tea. Finger sandwiches, pastries, and cookies are distributed in an elegant fashion. Cups of tea (or coffee) are served fresh and flavorful. Whatever the occasion, all ages are welcome to join the formal, traditional afternoon tea party onboard the Regal Princess. Attend a live musical production, a comedy show, or another talented performance at the Princess Theater. Visit the Princess Casino and play slots or a game of blackjack while enjoying the company of fellow travelers. Watch a movie under the stars while being served fresh popcorn, milk, cookies, and fuzzy blankets. Grab a drink or evening appetizer in one of the many Regal Princess bars and lounges. Watch the outdoor fountain show– Princess Watercolor Fantasy Show–where water skyrockets into the air to the beat of the music. Be a part of the live studio audience for Princess Live!, which is the ship's onboard television show. Either participate in the series of games and challenges or watch Princess Live! from your stateroom. And, of course, we cannot forget about the Regal Princess singing competition. Maybe you will be the next star of the sea. Formally known as The Voice of the Ocean, this singing competition mimics the television show The Voice. 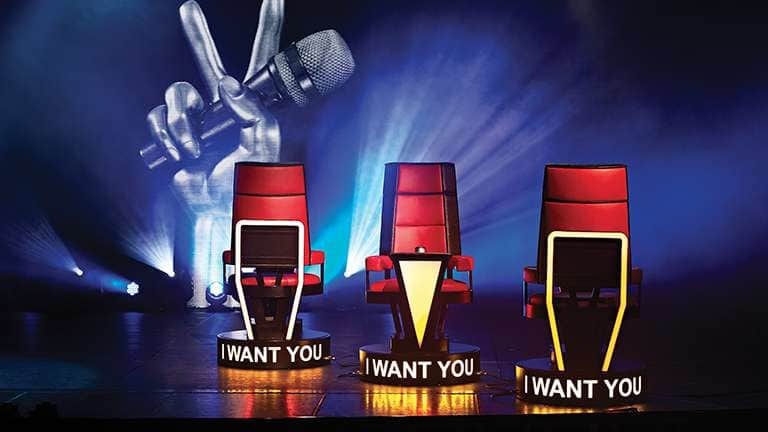 Passengers can take part in this contest that features blind auditions, one-on-one mentor sessions, and a final grand finale. There is no doubt that The Voice of the Ocean is the top singing contest at sea. What People Are Saying About Regal Princess? Many travelers who have sailed on the Regal Princess highly recommend for other travelers to partake in the fun. Passengers love entertainment options onboard and how friendly the staff members are too. In regards to complaints, travelers did not have many. Some past complaints have revolved around the size of the rooms and the size of the balconies. In addition, some travelers had issues with embarkation and disembarkation. A trip on Royal Caribbean's Allure of the Seas will provide passengers will many of the same features found on the Regal Princess. The Allure of the Seas has a larger family demographic in comparison to the Regal Princess. Because of that, this ship may be worth considering if you are looking for more family-focused activities. Another romantic cruise ship that newlyweds and anniversary celebrators will enjoy is the Viking Star. This small and intimate ship is a spectacular way for couples to vacation. Plus, the Viking Star goes to incredible ports all around the world. If you want a to travel to locations outside of the Caribbean, then the Viking Star may be a great option for you. Also, if the Regal Princess is simply too large of a ship for you, then check out the Viking Star. Crystal Serenity is a cruise for classy travelers. If you are impressed by the sophistication of the Regal Princess, then you will be impressed with the Crystal Serenity. The Crystal Serenity may be worth your consideration if looking for an alternative cruise ship! With so many places to eat, see, and visit on the ship, where is there time for boredom to creep in? Plus, the shore excursions will have travelers just as entertained. From snorkeling and scuba diving to shopping and swimming, shore excursions are half the fun of cruising. 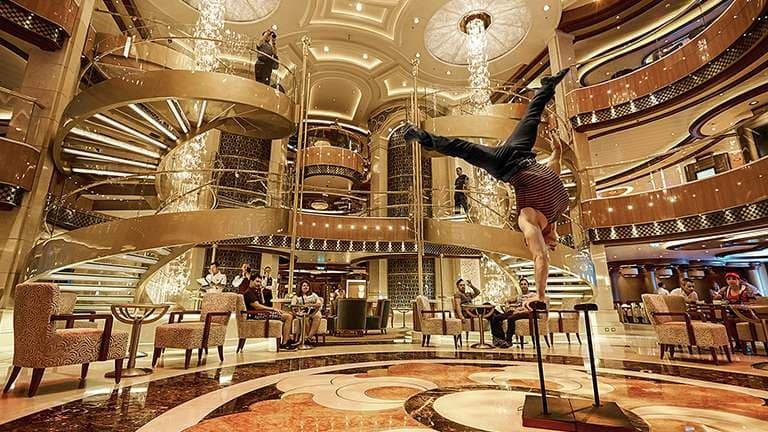 There are activities galore both on and off the Regal Princess. If you are a classy, yet fun-loving traveler, then we recommend considering a cruise on the Regal Princess. There you have it. All the details of the Regal Princess cruise ship. Have you cruised on the Regal Princess before? If so, then please share with us in the comments section below! We would love to hear about your experience. Riley is a creative who is fascinated by the details of life. She feels most at home in an airport and cares most deeply about culture, exploring the world, and global justice. Riley also believes in the power of storytelling and in a love that has no limits. Keep up with Riley on her Instagram page where she contemplates grace and writes her raw thoughts on life, faith, and the world around her.